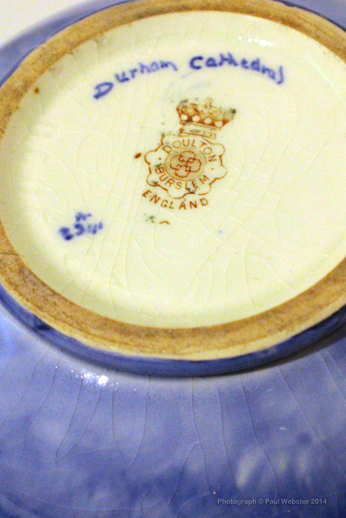 The best Doulton present of all…. Starting to think ahead, here’s the perfect gift for Doulton lovers – a subscription to our magazine! 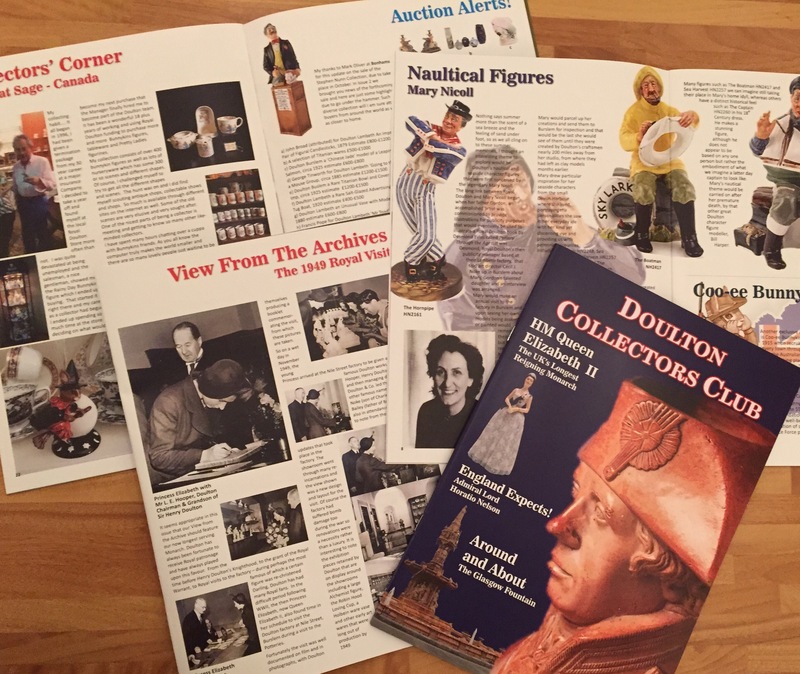 If you haven’t yet subscribed to the Doulton Collectors Club magazine, here’s a glimpse inside Issue 3. Issue 4 is about to go out around the world, so watch this space for a glimpse of the cover and to see what is in the next issue! and register there by clicking on the Club tab. 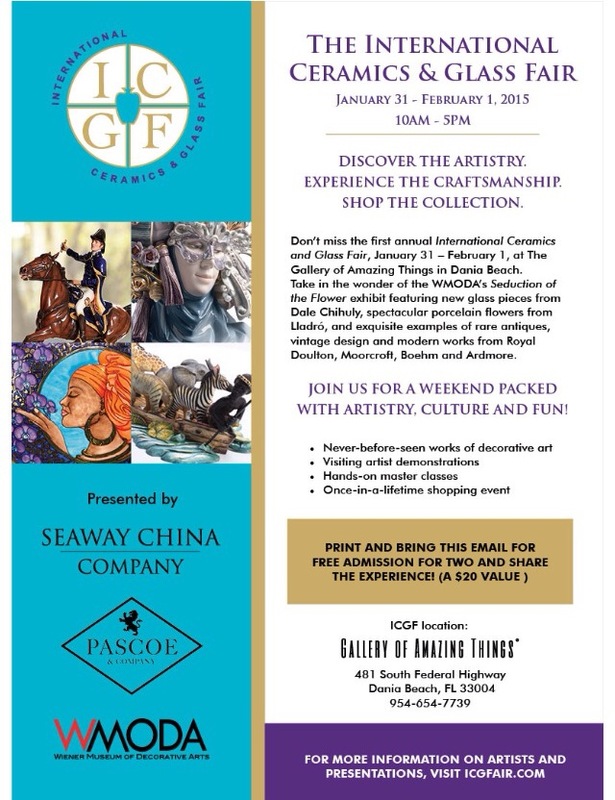 Alternatively you may subscribe via Seaway China! Royal Doulton always followed the mantra of offering something for everyone and this certainly rings true when you consider the variety of wares produced over the last 100 years to commemorate Egypt’s great history. From seriesware such as Tutenkhamen’s Treasures series, to handpainted desert scene pieces, to Flambé pieces, to figures ….. here once again there is something for everyone. As a child I remember being fascinated by all things Egyptian – a study whilst at school, a trip to museums with grandparents…all fuelled this mania. 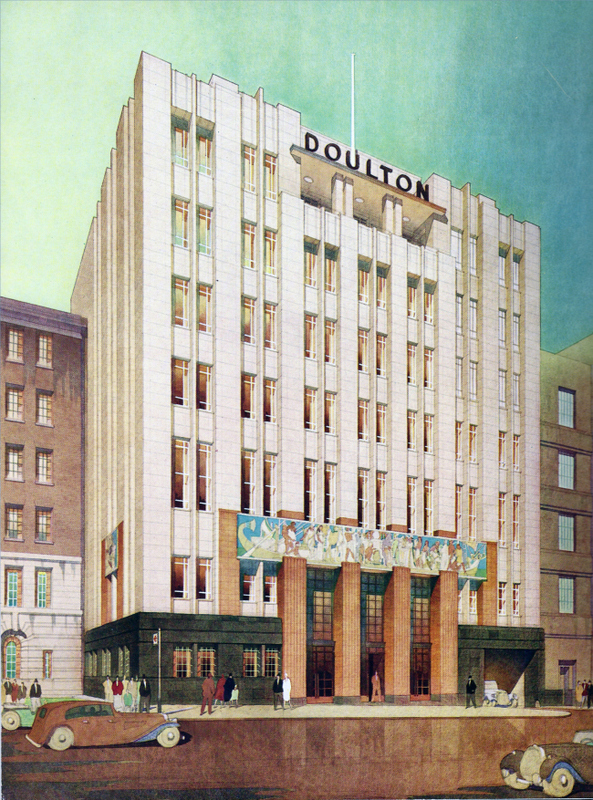 This mania gripped the world in the early 1920’s with the discovery of this now world famous tomb and Doulton was at the front of the queue to produce commemorative pieces for this event. 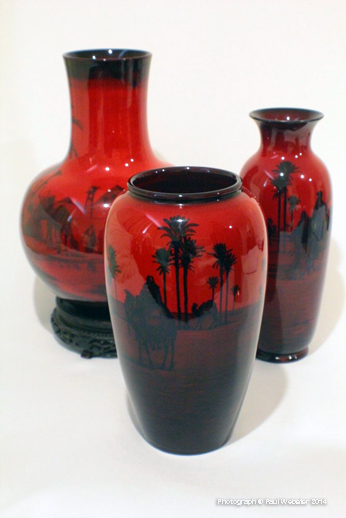 One of the most striking series Doulton produced is the Flambé range of wares, featuring pyramids, the sphinx and numerous other desert scenes. Here are a selection of pieces for you to enjoy! 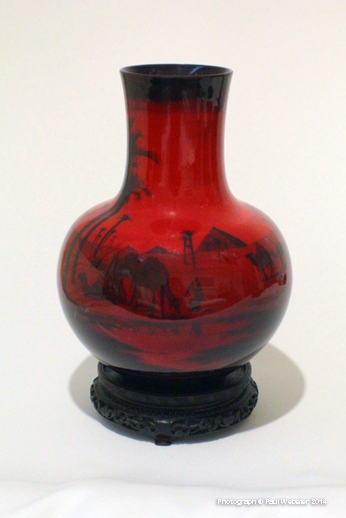 A striking 14″ vase with a variety of scenes from Cairo. The same vase on the left, together with two variations of Egyptian scenes to suit the shapes of their respective vases. This is a little recognised area of collecting yet, they show the great potential Doulton of Burslem showed at the end of the 19th Century. 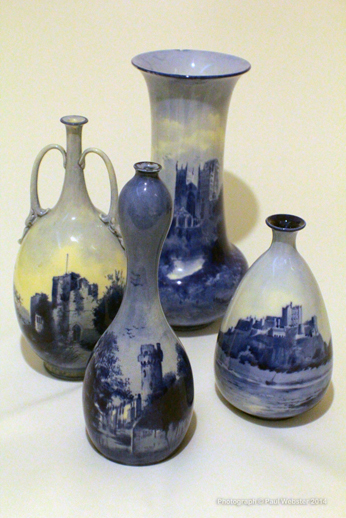 There is very little to explain other than these pieces typically cover castles or other monuments such as Durham Cathedral pictured on the tallest of the vases (14″ tall). These pieces can be bought relatively inexpensively, as many I presume imagine them to be transferware rather than handpainted pieces. 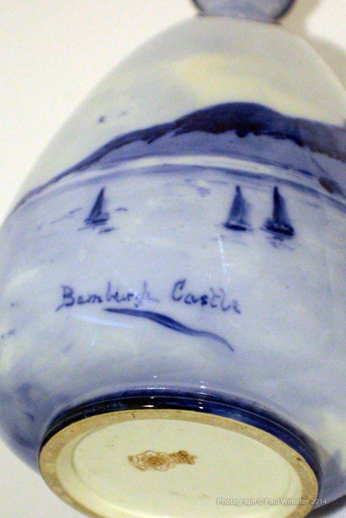 There is no special backstamp to these pieces as you can see from the image above, yet each carries the name of the subject to the body, save the Durham Cathedral piece which is titled to the base. These rather simplistic designs particularly appeal, especially given the time they were produced when tastes were much more frivalous and over the top!